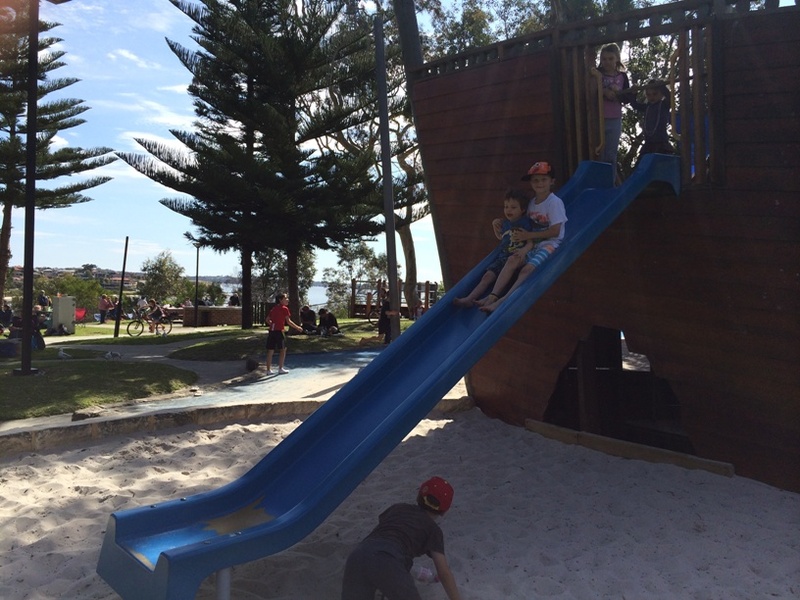 Heathcoate Reserve Pirate Ship Playground is hands down one of Perth's biggest and best playgrounds. 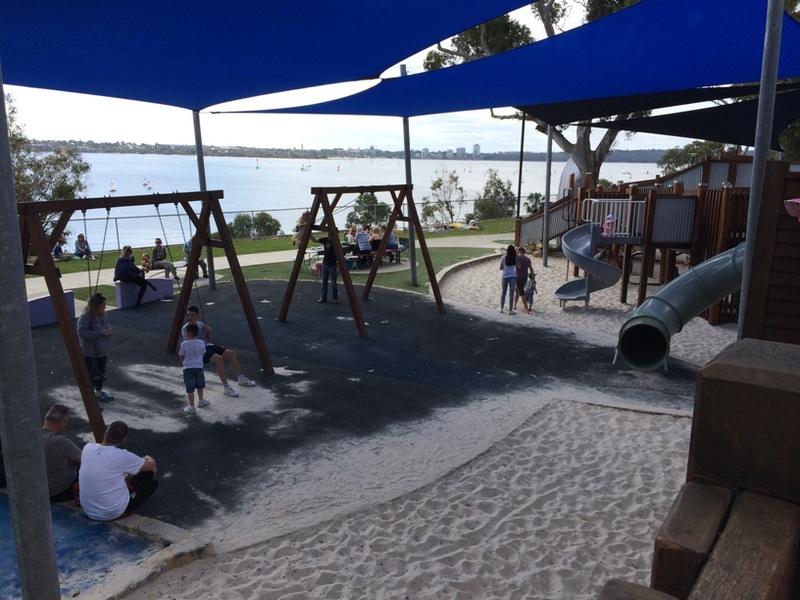 Located up high overlooking the Swan River, the views are amazing, and the playground is just as amazing too! 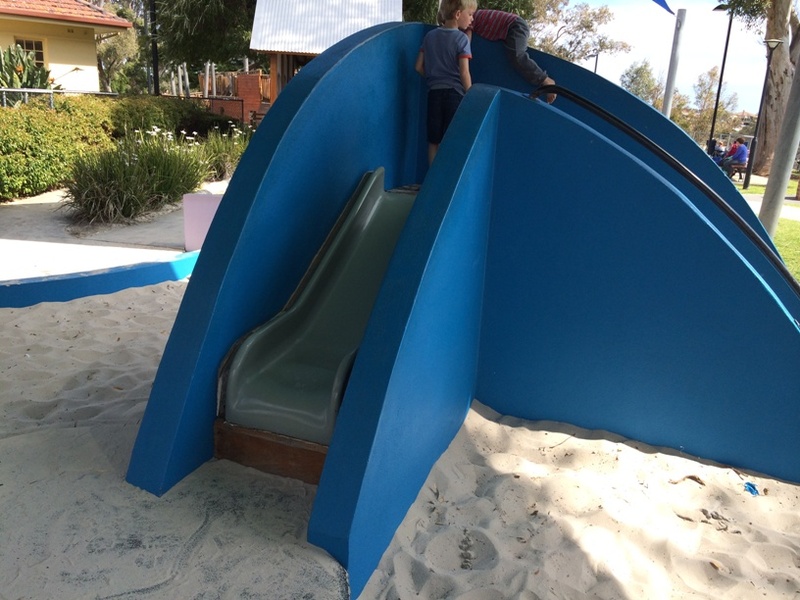 The main attraction is this large wooden playground - and a word of warning it is very difficult to keep track of kids - so we do recommend it for older children around 3 yrs +. 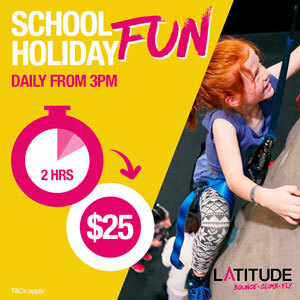 There are ramps, slides, caves, & tunnels throughout the ship. 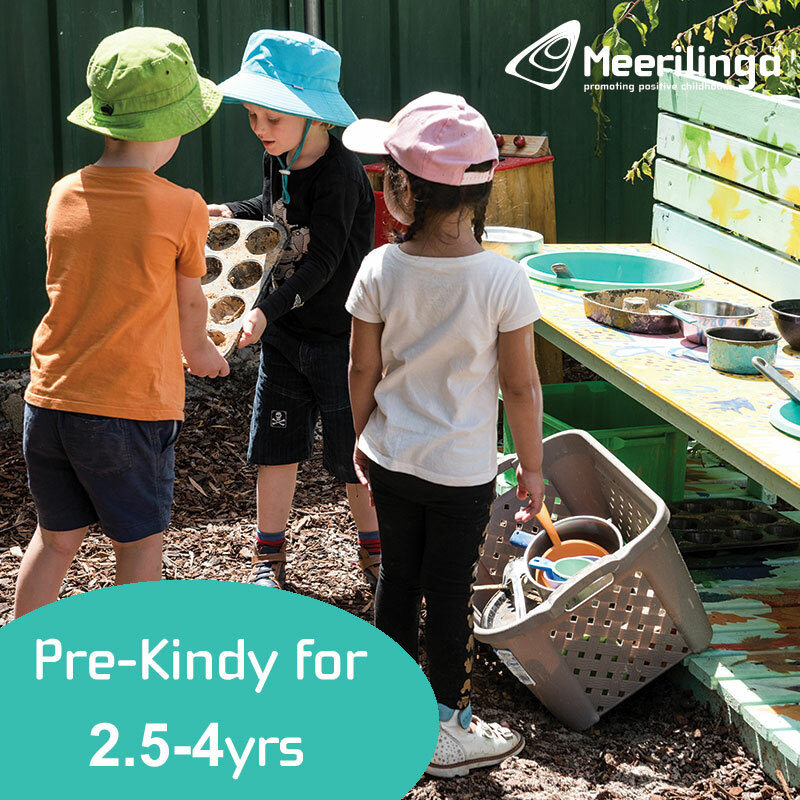 Kids can ring the bells and look through portholes too - so it's an authentic pirate play experience. 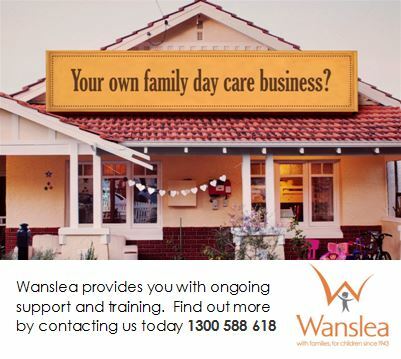 There are swings near the wooden playground and there are also a few slides that come off the playground. 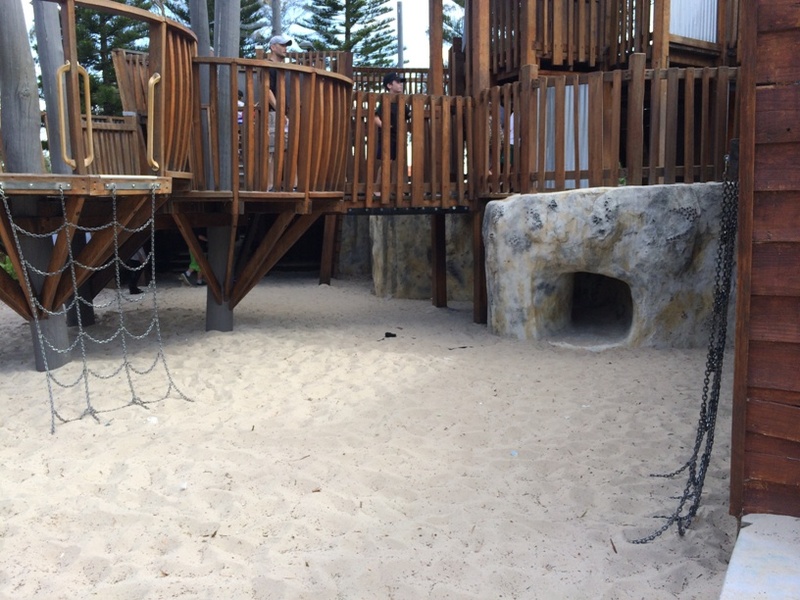 There is also a great shaded area for crawlers and toddlers with some sand play and a small slide behind the pirate ship playground, closer to the Blue Water Kiosk. 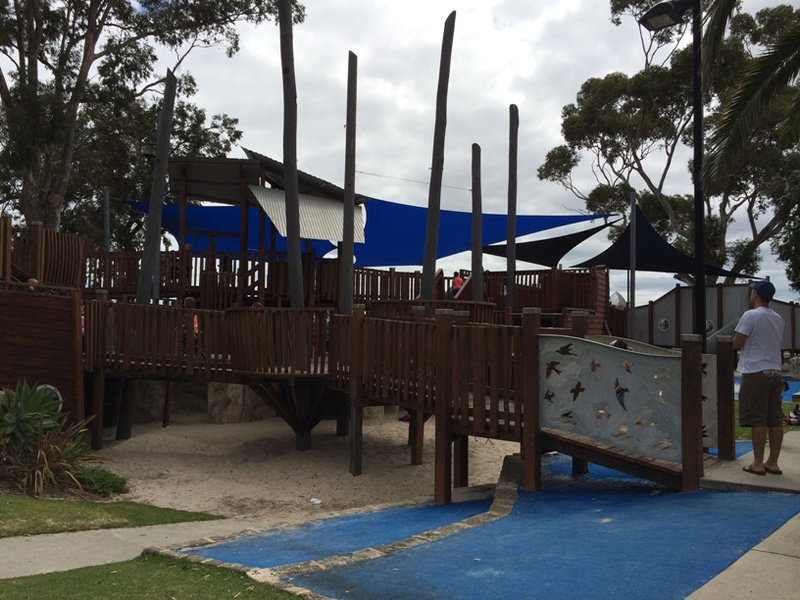 The Blue Water Kiosk is located about 50m from the main playground and has a beautiful range of light snacks, sweets, drinks and ice-creams. 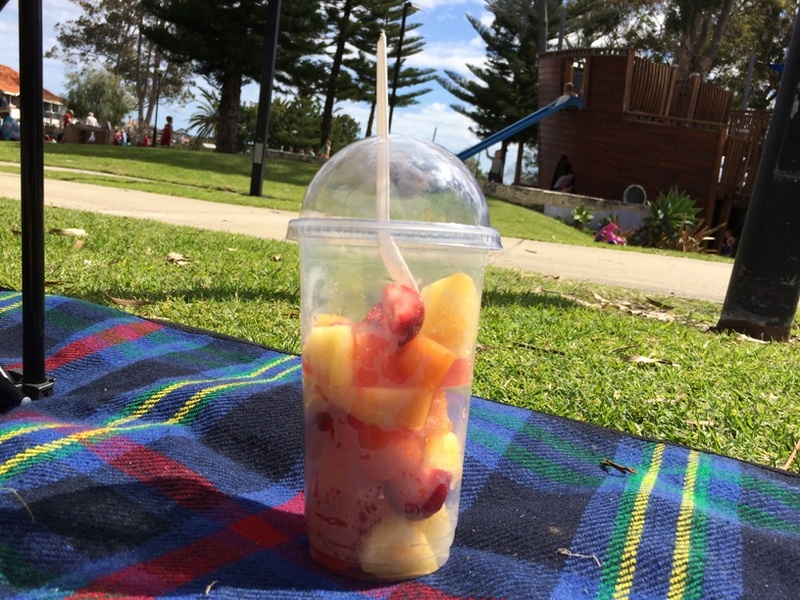 We had this delicious big cup of fresh fruit to share - it was just $4. 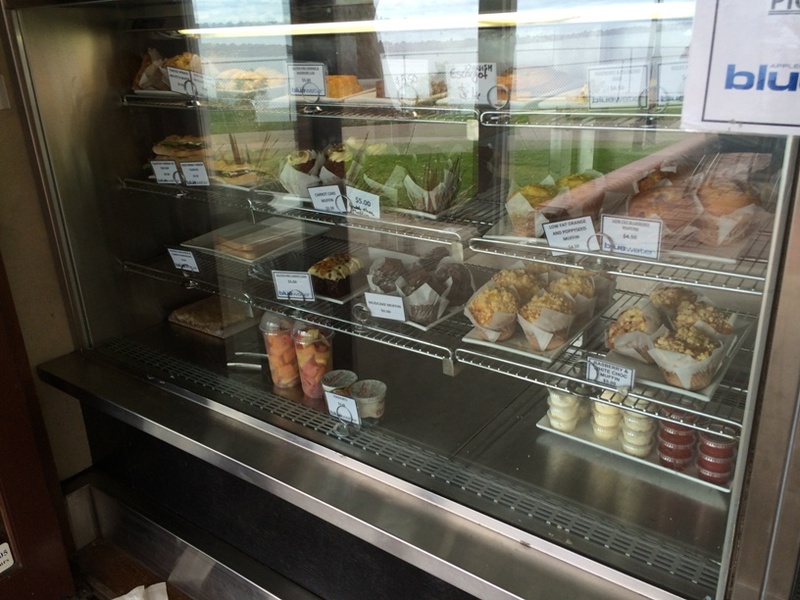 The kiosk is open daily. You can also enjoy more formal dining here at the Blue Water Grill. 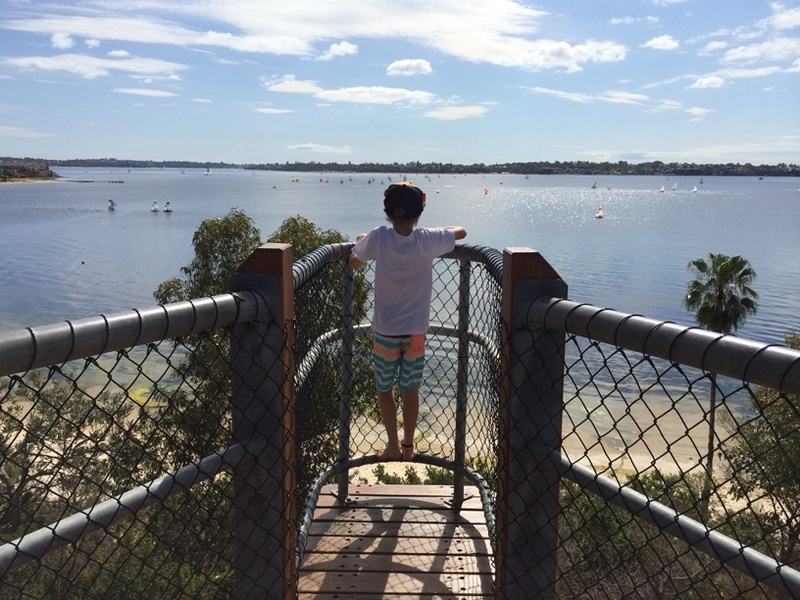 And of course there is the magnificent Swan River views from this location. 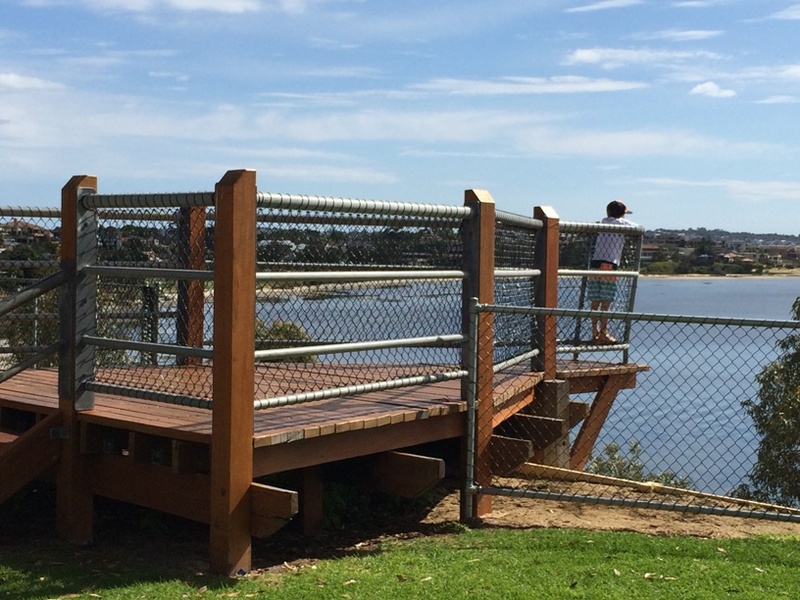 They have a few boat shaped lookouts that slightly overhang the bank so you get enjoy a real Titanic moment! There are some pathways for scooters and small bikes but it isn't the best park for doing this. 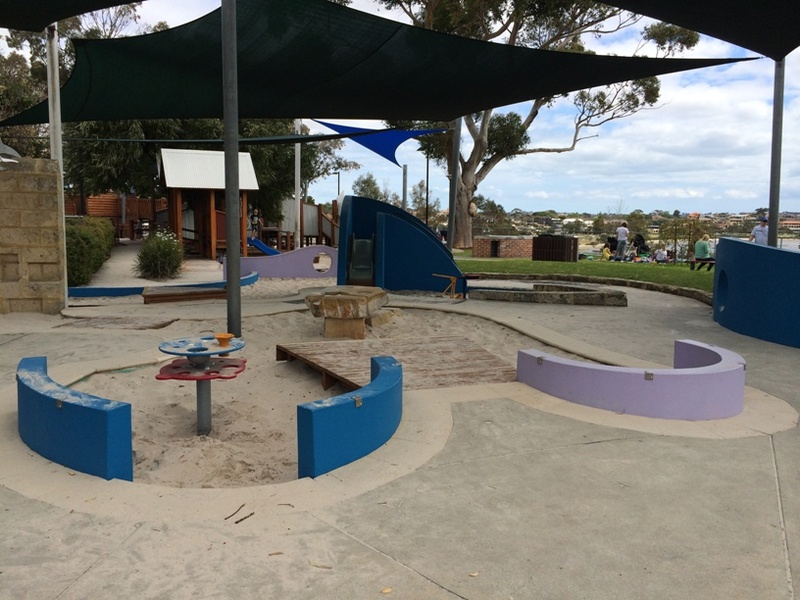 The pathway goes around the playground and is used to access the kiosk and smaller playground so it can be quite congested. There are lots of bends in the path and it's difficult for pedestrians to see those coming on bikes and scooters. 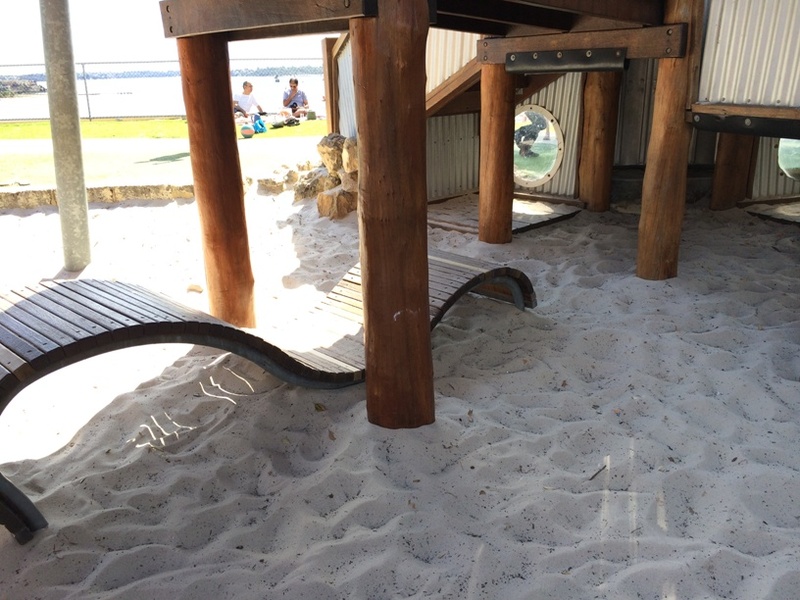 There is also a lot of sand on the pathways from the playgrounds - so we don't recommend it for riding bikes and scooters. 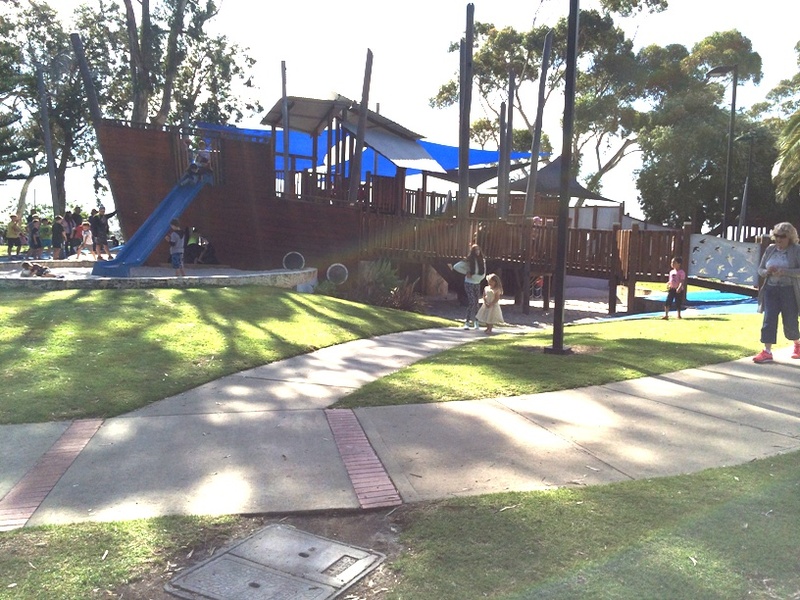 Heathcoate Reserve Pirate Ship Playground is a fantastic playground that is guaranteed to wear the kids out and have them begging to go back again and again. Take a picnic rug and a ball there is plenty of grassed area, several picnic tables and a few BBQs - so it's a great place to spend the day away.